St Clement’s School Council provides the pupil voice in the school. 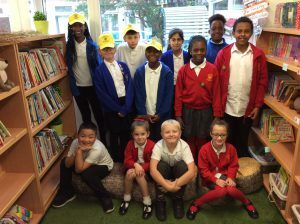 We have had a school council for over 4 years now and feel it is such an important way of communicating children’s views effectively. 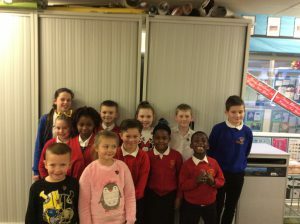 We have 2 elected children from each class (from year 2 to year 6) with the addition of the Head Boy and Head Girl, making us a council of 12 children ably assisted by Miss Male, who is the lead teacher. The school council meets approximately every fortnight, discussing issues our classes have raised and coming up with solutions to better the school for all. At St Clement’s, teachers make learning fun by organising special days and weeks for us to progress further in different areas of the curriculum. In the past year we have taken part in; experience days, science investigation days, enterprise week, healthy schools week and a one goal day. We are proud that French is now on our timetable and we are enjoying practising this weekly. We are lucky enough to have lots of school clubs on offer at St Clement’s. We have breakfast club, drama club, gymnastics, singing, football, cross country, study club, multi activity, rounders, cricket, netball, guitar and booster sessions. Each class has the opportunity to show the rest of the school what they have been learning about through a production where parents are invited in. We really enjoy this opportunity to explore drama. Last year we entered cross country, football and swimming competitions. We have lots more competitions lined up for this year; football, rounders, basketball, netball, swimming, cross country and we will also be visiting some change 4 life festivals. We are really excited about representing our school in these. We have also been doing the daily mile and are hoping to start skipping to promote personal challenge in fitness! We have continued to progress in ICT. Throughout school, children get to do blogging, coding (to eventually be able to create our own games) and the chance to make movies. We have been using the Scratch and Kodu sofware to code. We are using the IPADs and laptops in other subjects as well. We are especially proud of the amount of charity and fundraising work that our school does. Some examples of these are the summer and Christmas fairs, movie nights, Share a pencil and Macmillan coffee mornings. We have previously been involved in the Manchester Bee project alongside 18 other schools to support those affected by the 2017 bombing. Other fun things that school run are bingo nights, school discos, small gifts that children can purchase for mothers and fathers day and St Clement’s got talent. This past year we have tried really hard to get our parents involved as much as we can. We have offered opportunities for parents to come in to see handwriting and our experience day learning. We have held mornings for parents to learn about staying safe on the internet and the methods we use in maths. We also invited parents in to help with our Manchester Bee project. Some parents are invited in on a Friday to come and hear us read. We enjoy it when our parents come in to school. As a Christian school, our values are very important to us. We enjoy class worship on Tuesday mornings, visitors in assemblies who come in to talk to us or play live music and question of the week. We also enjoy our whole school RE creative projects and ethos days. – Outdoor reading shed- some children enjoy helping to manage the reading shed and others enjoy spending time reading there. – We are becoming a forest school! We currently have builders in creating a new area where we can build fires, make dens and cook food (all outdoors!!). We can’t wait for it to be finished! School council are hoping to make some more changes this year to further improve our already great school! We are hoping to get more equipment in school and create some posters to encourage children. St Clement’s Sports Council 2018/19 members have been elected with Lilly being Sports Captain and Liam, Vice Sports Captain. The children will be involved in researching, planning and delivering some intra school competitions as well as supporting the PE lead teacher with raising the profile of PE and sport in school. The children will be sharing ideas for new initiatives and ways to encourage others to participate in sport. We will be meeting every other friday afternoon to discuss ideas for developing PE in our school.